For those wishing for a more mindful, healing and/or spiritual connection to the natural world and wildlife, there are ways to connect in a deeper way. This can be done in (and for) urban areas and it might even be highly needed as some urban nature locations are overlooked and uncared for (at least by people!). 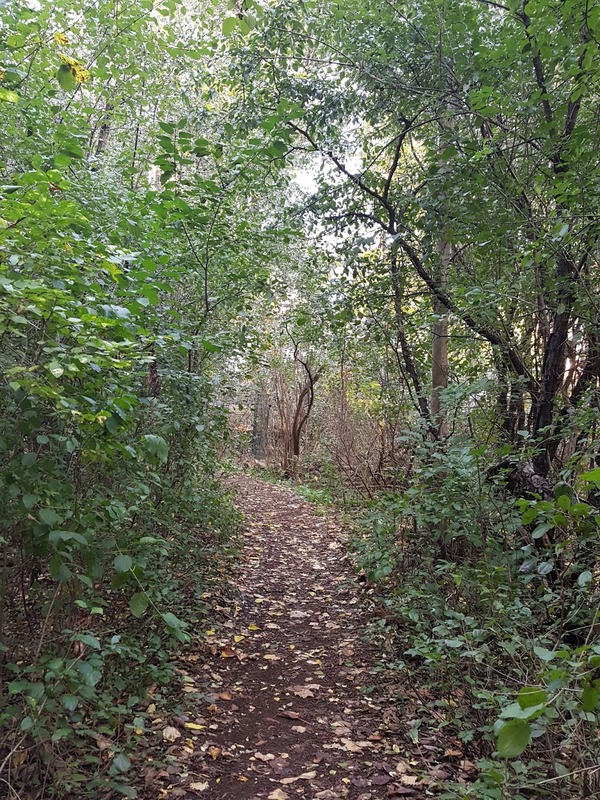 Many have heard about the practice of Shinrin Yoku (a Japanese term that describes a type of healing activity in nature - translated to be "Forest Bathing"). It's been mentioned here before in my Weekly Wild column from 2015: "Enjoy a Good Soak of Green". Forest bathing can be as simple as a walk in the woods (and even a twenty minute walk can provide you with healing benefits) or it can be full immersion in a natural forested area for a day or a weekend, such as "prescribed" in Japan. 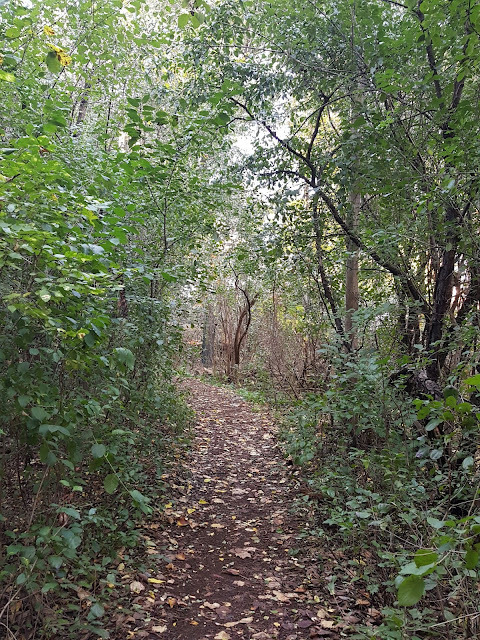 Forest bathing can even be done with a guide who can help with a meditative and relaxing excursion where you connect with all five senses and soak in the ambiance in a very mindful way. Here are some other practices and/or modalities that can help connect you to nature, provide you with healing benefits and even help you form a deeper connection with the natural surroundings, specific places that are meaningful to you and all living things. Earthing is something that you can easily do in your own backyard or in a nearby park. You may be doing it already! 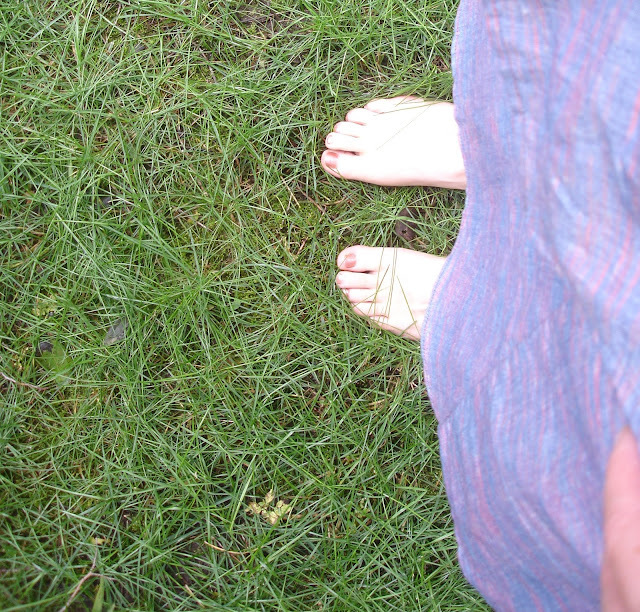 It's going barefoot so that you can soak up the earth's electrons and those who swear by this practice will suggest an Earthing dose of 30 minutes a day - especially on moist (dewy) grass (see Gaia article for more details). The premise of this practice comes from the fact that the ground is negatively charged and your bare feet picks up these negatively charged electrons which help eliminate free radicals in your body. It also helps calm the sympathetic nervous system (similarly as any outing in nature can do). If this type of procedure seems to be of benefit you can even purchase an earthing mat to sleep on in the winter months when being barefoot is not an option. Earthing was one of the 10 "Treat Yourself" Suggestions to get a mini Nature Dose in the city! If you feel a great connection to trees in particular, this method of connecting to these life forces may be for you. 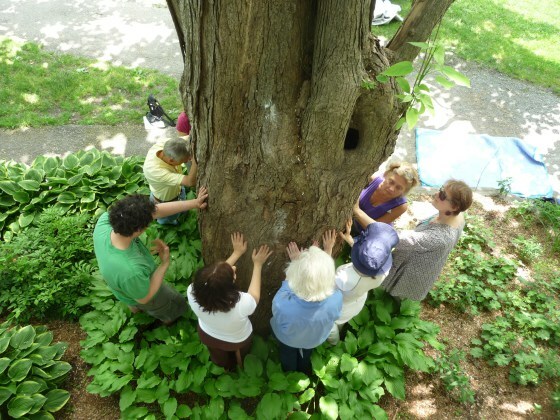 Tree Whispering is consider a mutual connection of interaction which starts with an "open mind and caring heart" where you transmit your bioenergy field and receive others. There is real science behind this. For some, the communication is more direct than others. It can be as subtle as an emotion or an impulse or it can be a more specific "knowing" or even a message. Practicing this technique makes it easier to pick up these messages and it can help make these communications richer. Classes are offered to strengthen this type of practice through The Institute for Cooperative BioBalance and its co-founders, Dr. Jim Conroy and Ms. Basia Alexander. Iv'e noticed that some have been at Omega in the past and I received confirmation from Basia that they will have another at Omega next June 2018. There is also information on the website about basics of this practice and the concepts behind it and a book available. Radical Joy for Hard Times is a global community led by Trebbe Johnson to help connect people to "wounded" places and provides a way to process emotions and allow for healing for both the people and places affected. These damaged places can emotionally affect us especially if there seems to be no way that they can be restored and/or rehabilitated whether due to lack of funds, lack of interest or other reasons. 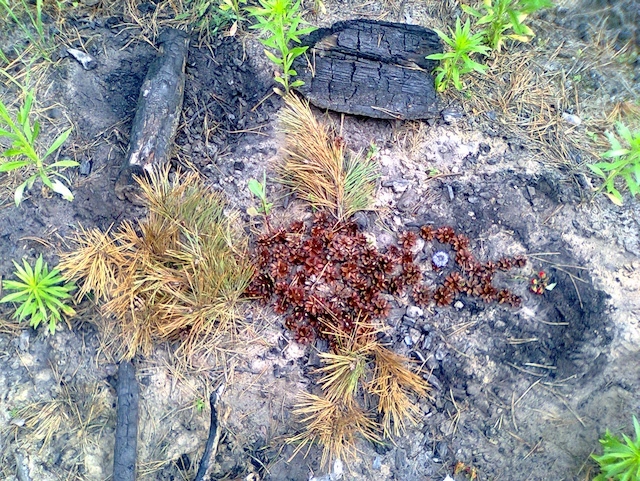 The Radical Joy community leads and or practices Earth Exchange ceremonies, which enables these ravaged places to be seen through a different lens and helps start a process of healing for both themselves and the place that they care for. There are many resources available at the website including an Earth Exchange Manual, videos and an FAQ. There is even a reminder under "10 Ways you Can't do it Wrong" that includes: All you have to do is show up. For those who feel a calling to facilitate these types of ceremonies, there is a workshop: Beauty for Broken Places that combines these Radical Joy techniques with Wilderness Rites of Passage work being held in Massachusetts this Autumn (November 2017). It's wonderful to have these unique methods to connect with nature and to help expand the way we relate to the natural world. Let us know if you've tried any of these practices and what your experience was and if there are any others of which you have heard. Good morning TT! Love your idea of connecting spine to "spine" - I'm going to do this next time I'm out! Oak energy has such grace. Have a wonderful tree-ful day!